It’s time to talk all things shopping. This year I keep seeing the suggestion to buy less, but buy better. For someone who tends to close their eyes, whip out their credit card, and then sort out who is getting what the night before, this idea of deep rather than broad shopping is a little daunting. However, I hate the mall and I don’t want my gifts delivered in a Jeff Bezos robotic reindeer sleigh. I’m looking for something different, a little bit challenging, and to spend my money on treasures that are truly special. I’m okay with spending a bit more, but I want the shopping to be a warm and fuzzy experience; possibly fuzzy because there is booze involved and warm with the glow of connecting to others who are fun and have good taste. I want my hard earned dollars to stay in circulation in my city, to put them into the pockets of equally hard working artists, artisans, and crafters, and for the local economy here to grow. 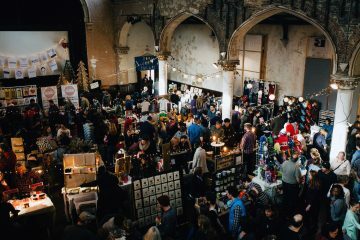 While I am happy about the ever-proliferating list of local, handmade, holiday shopping events, and I wish I could support all of them, I’m also in favor of a shorter list with specific criteria. This year I would like to purchase more artwork, I would like to run into people I know while shopping and talk to them, and I want to make the best use of my limited time, hence this year’s list of just ten events. 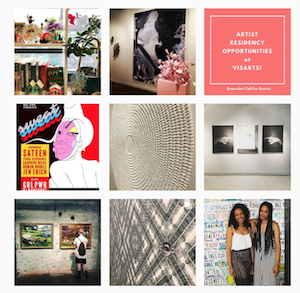 Rather than attempting to capture it all, I am sharing the list of art, craft, and maker events I plan to patronize this season, the art I would actually buy. 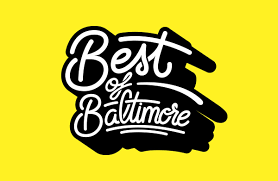 I know that my family and friends deserve amazing gifts and I know that Baltimore’s creative community is an invaluable asset, the reason why so many of us choose to live and work here. 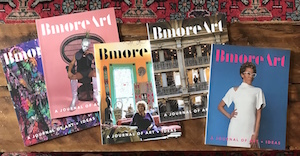 Did I mention that BmoreArt’s new print journal makes a great gift for the art and culture connoisseur in your life? 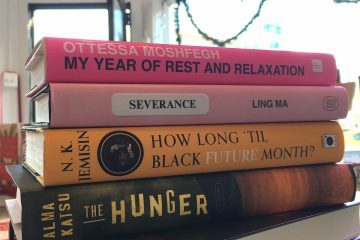 We’re selling a limited edition of compete sets of six, as well as individual copies at our website and through our wonderful network of vending partners, including Trohv, Atomic Books, Greedy Reads, Ivy Bookshop, the BMA Gift Shop, and hopefully a few additional others. This year I hope your holidays are merry, warm, and full of all good things, especially things that are made locally and with love. We’re also excited to announce that this weekend Hey Thanks Herbal Co. will be mixing a specialty cocktail made with their handmade cordials during the sale Friday, Nov. 30 from 6 – 9p, Power Decals will be selling their custom nail decals with us, and we will be launching the sale of a custom Baltimore Jewelry coffee blend, 18 Karat, created for us by our friends at Thread Coffee! Everyone who attends the sale will be entered in a raffle to win a FREE bag of coffee and a custom made coffee scoop! 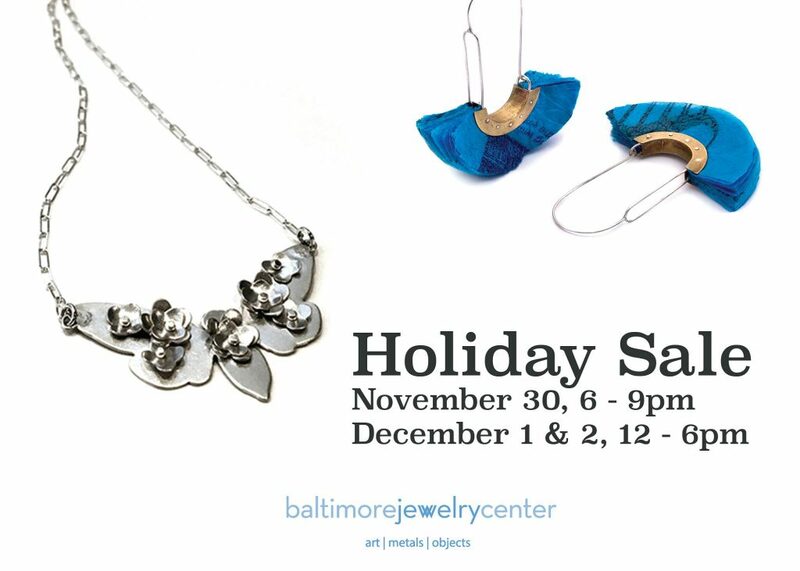 Shop a diverse mix of handmade items by artisans from Baltimore and beyond this Holiday Season! 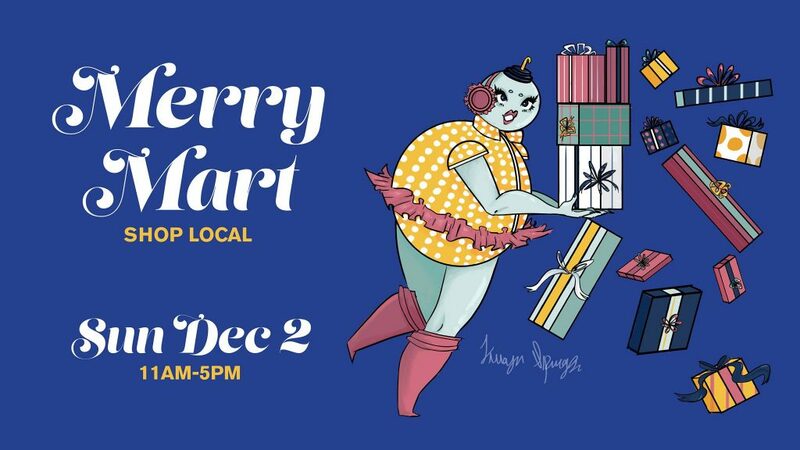 Merry Mart is an annual juried holiday craft market that showcases high-quality handmade arts and crafts including; clothing, handbags, accessories, ceramics, soaps, kids’ toys, mixed media, jewelry and great art! Bring your kids to our free drop-in arts workshop from NOON to 5PM. 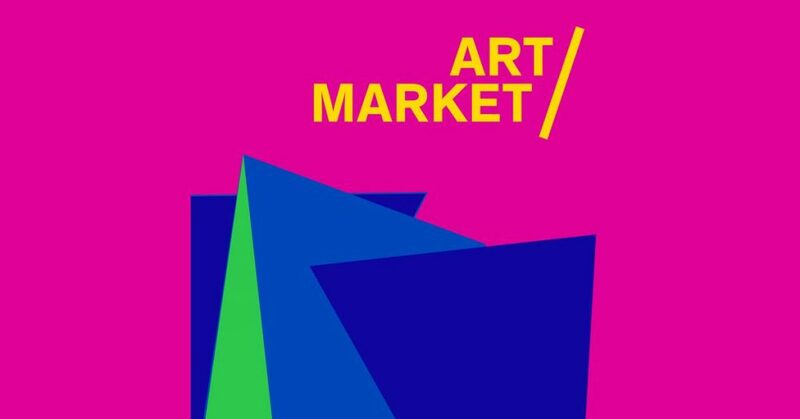 At this year’s Art Market, holiday shoppers and collectors can discover work by emerging and established artists and designers just in time for the gift-giving season. 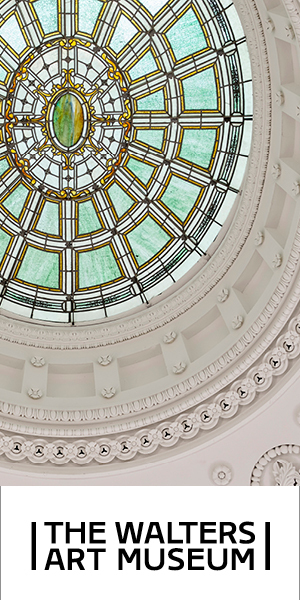 Fine art and handmade objects by approximately 275 MICA students, alumni, faculty and staff will be on sale. Original gifts include jewelry, illustrations, paintings, prints, posters, sculptures, mosaics, stationery, T-shirts, ceramics, book arts, toys and wrapping paper. 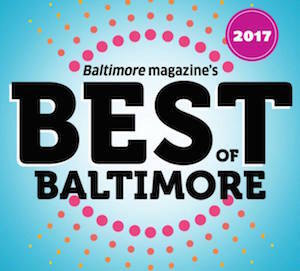 Visitors can talk one-on-one with artists and designers about their work while enjoying the market’s lively atmosphere and supporting the local economy. The event is sponsored by the MICA Alumni Association. 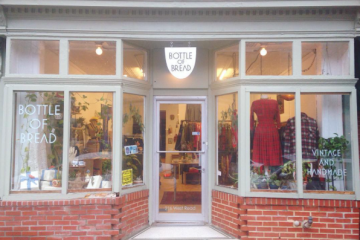 A portion of the proceeds goes towards scholarships for MICA students. Cash & credit cards accepted! 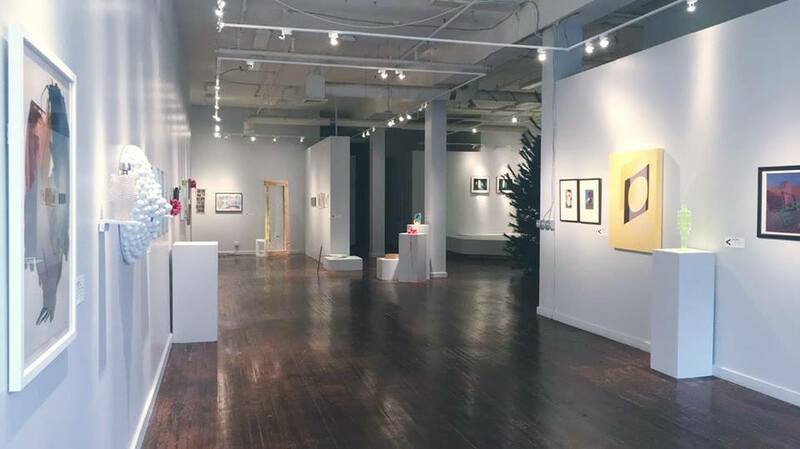 Maryland Art Place invites you to their sixth annual UNDER $500 affordable art sale this December! On Friday, December 14 at 7 o’clock join us for a first-come, first-served opportunity to purchase affordable and original works of art. 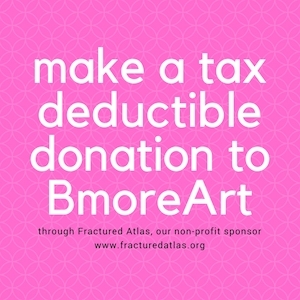 The event will feature the work of Baltimore and surrounding area artists at a price point of $500 or less. 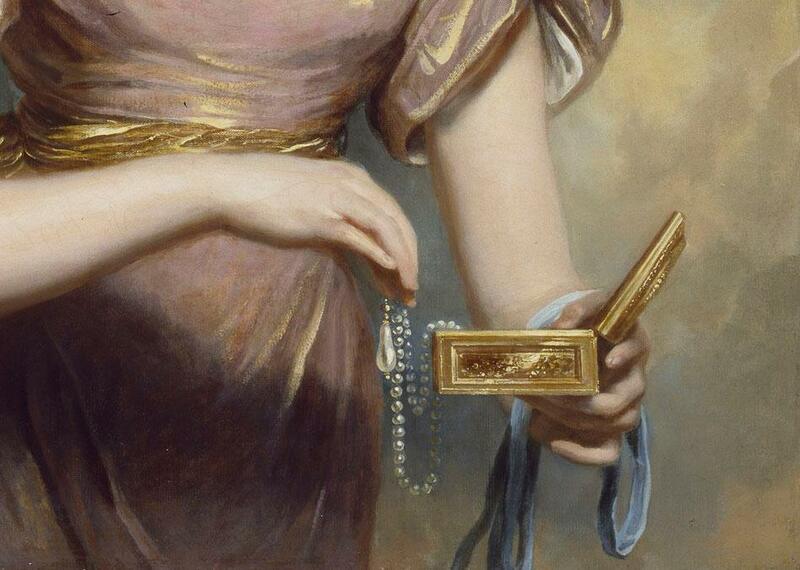 Purchase work at any point throughout the evening and take home that night! 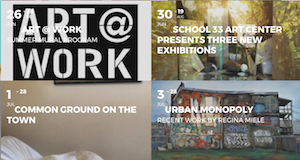 Featured artists include: Seth Adelsberger, Jill Adler, Erin Barach, Kyle Bauer, Emily Campbell, Schroeder Cherry, Atsuko Chirikjian, Se Jong Cho, Nicole Clark, Bobby Coleman, Courtney Cooper, Pete Cullen, Jessica Damen, Alex Ebstein, Maria-Theresa Fernandes, Erin Fostel, Ric Garcia, Eric Garner, Helen Glazer, Cat Gunn, Jessi Hardesty, Caroline Hatfield, Gregory Hein, Elli Hernandez, LaToya Hobbs, Don James, Sanzi Kermes, Rosa Leff, Giulia Livi, Jon Mallis, Dereck Mangus, Antonio McAfee, Mike McConnell, Bruce McKaig, Lee Nowell-Wilson, Salvatore Pirrone, Geraldine Pontius, David Salgado, Linda Smith, Katie Sowinski, Michael Stevenson, Wes Stitt, Sarah Tilton, Kelly Walker, Tanya Ziniewicz, and Lindsey Zuskin. 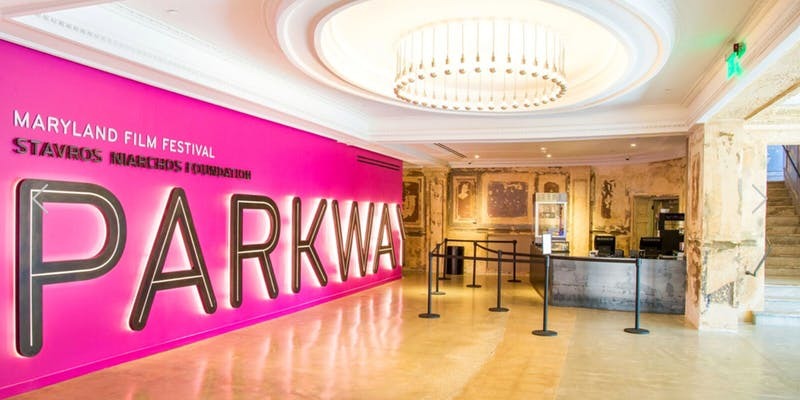 Guests can expect to mingle with other artists, collectors, patrons, and general art enthusiasts at the event with an open wine and beer bar, along with light tastings with a holiday twist. MAP will also be collecting new toys and books to support Philanthropik’s toy drive the evening of Under $500. These toys will be donated to the Ronald McDonald House this holiday season. *Note, only new toys will be accepted. 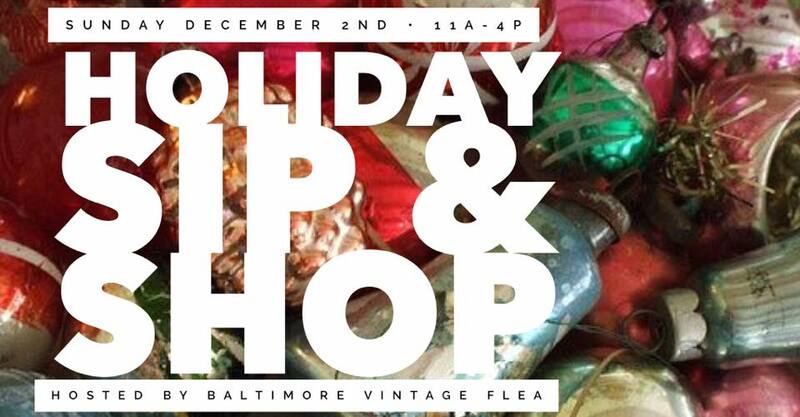 Come Join 50+ amazing artists/makers for the 12th annual HOLIDAY HEAP Craft Fair presented by the Charm City Craft Mafia! 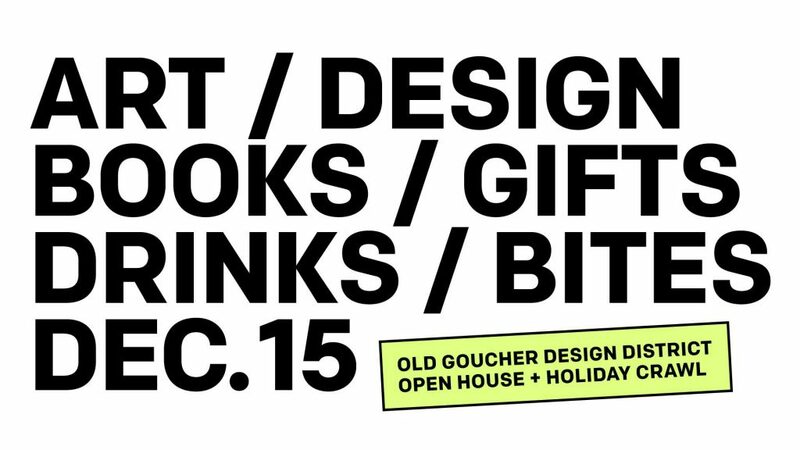 Shop handmade and local for all your holiday needs on Saturday, December 15th from 10am-5pm. Free and family friendly! 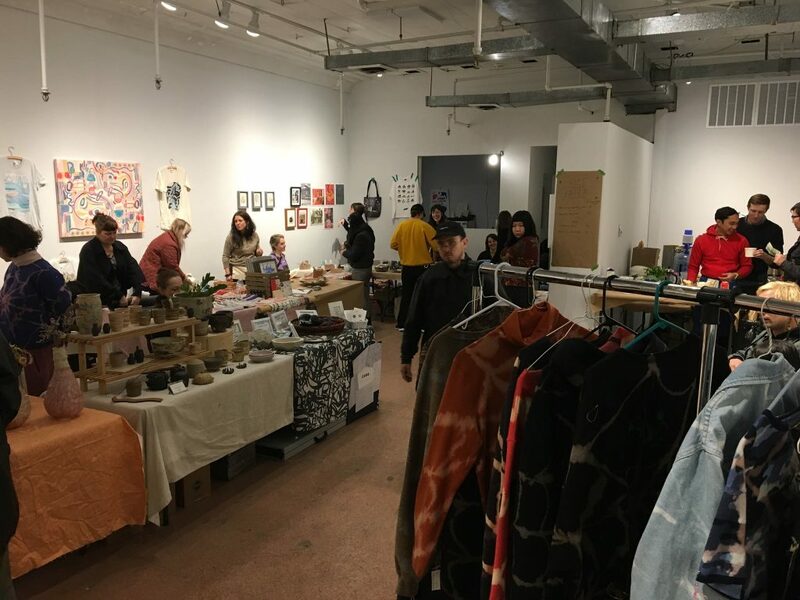 Current’s 6th Annual Art Market in support of local artists and friends. 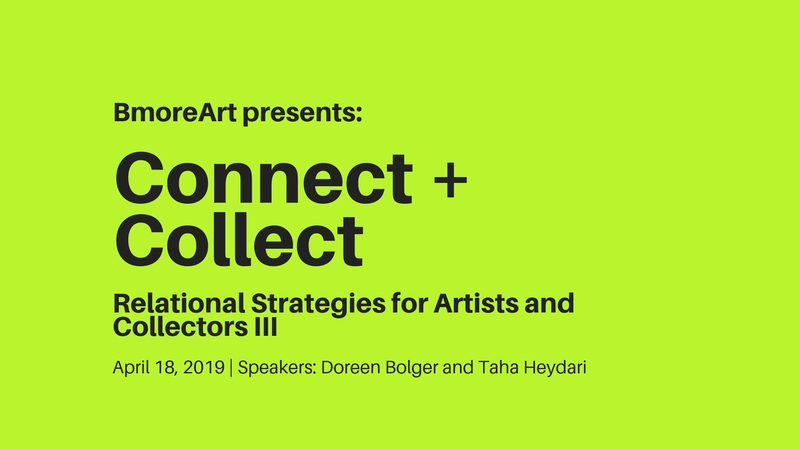 No gallery commission, no table fees, no bullsh!t. Come buy art directly from the artists, meet the person behind the work, and support them by buying art for yourself or someone special. Are you a last minute kind of holiday shopper? 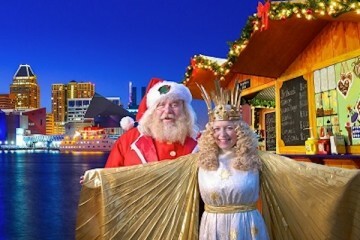 Can’t make it to Holiday Heap? 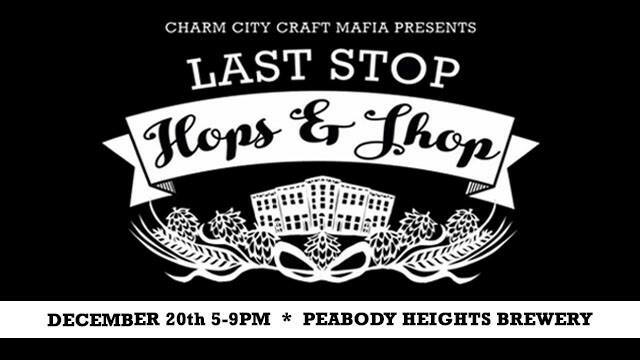 Swing by the Peabody Heights Brewery on Thursday December 20th for our 4th annual Last Stop Hops & Shop! Fulfill all your last-minute shopping needs while enjoying a relaxing evening of local food and beer! We’ll have 20+ local artists and makers in the tasting room. 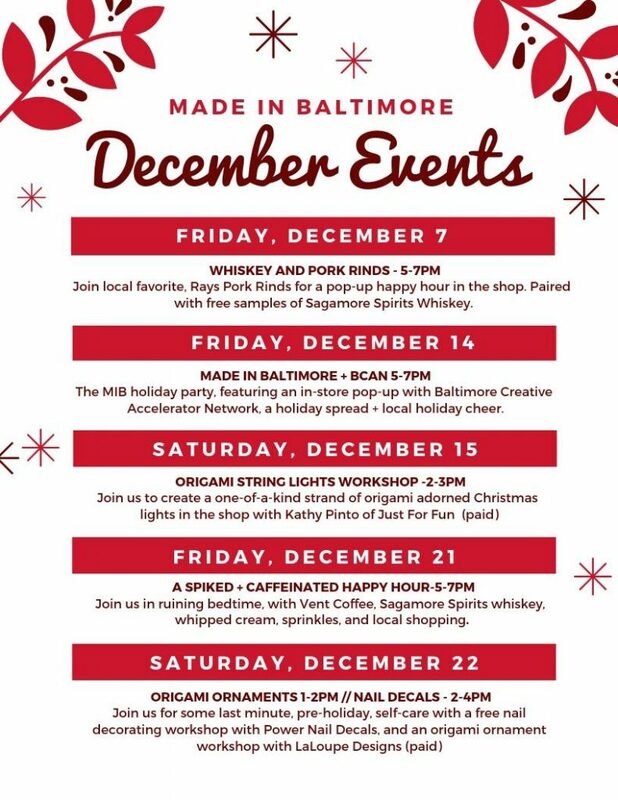 I know I said ten, but the Made in Baltimore shop has so many different events, they have their own calendar! For my purposes today, I am lumping them all into one big extracurricular making, doing, shopping, eating, and drinking event.